TORONTO, Jan. 18, 2017 /CNW/ - Problems with landlords, unfair treatment at a job, and getting separated or divorced: these are some of the issues that Ontarians face every day. However, many cannot access the information they need to understand the legal implications of their problems and respond. 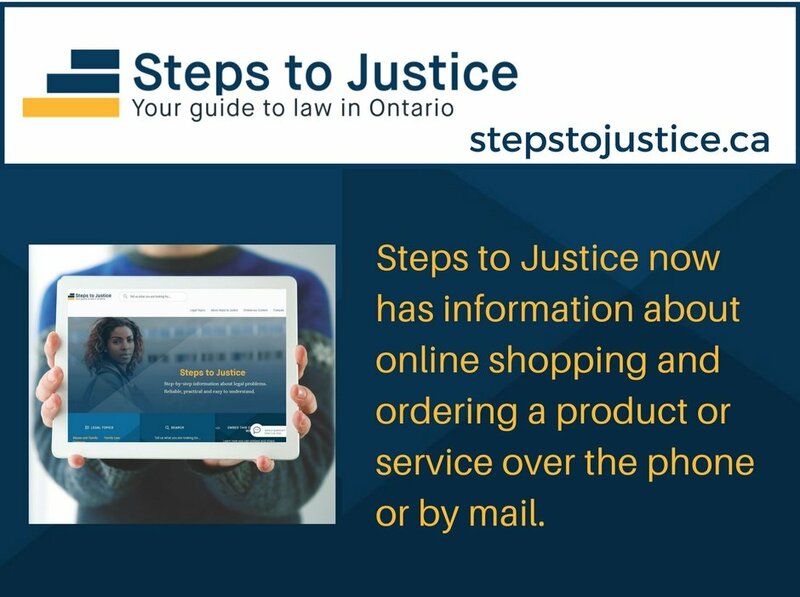 Now they can go to Steps to Justice – a new website that empowers people in Ontario to understand and take action to deal with their legal problems. Got a question about the law? There’s a site for that . . . .
Stepstojustice.ca aims to provide reliable answers to common legal questions and problems. 'It’s sort of like an FAQ (Frequently Asked Questions) of law,' says Paul Schabas, the treasurer of the Law Society of Upper Canada. What can happen if I’m behind in my rent? Can I sue my former employer in court? Read more about Got a question about the law? There’s a site for that . . . .